During today’s livestream Beamdog CEO Trent Oster was accompanied by Marketing & PR Manager Lee Guille to share the latest Beamdog, Neverwinter Nights: Enhanced Edition and Infinity Engine news. We launched our new and enhanced Beamdog.com site! To celebrate, we’ve kicked off a huge sale: Baldur’s Gate: Enhanced Edition, Baldur’s Gate: Siege of Dragonspear, Baldur’s Gate II: Enhanced Edition and Icewind Dale: Enhanced Edition are each 66% off, with Planescape: Torment: Enhanced Edition at 60% off! 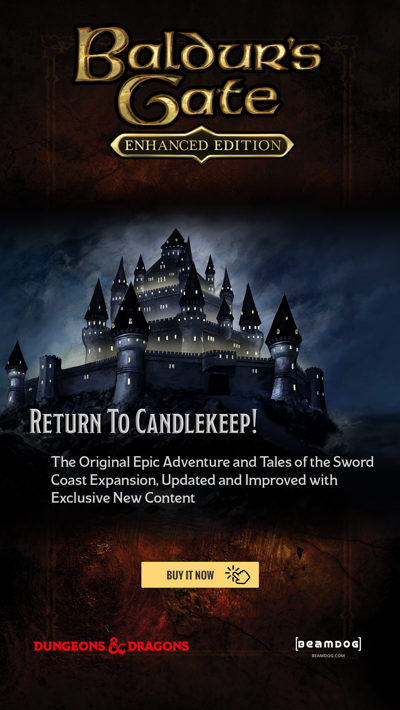 Baldur’s Gate II: Enhanced Edition is currently on its biggest sale yet on Google Play and the App Store - save as much as 80% on your way to Amn! Fanatical.com are doing their own sale of our titles. Check it out! Mordenkainen's Tome of Foes is now out in local game stores. We can’t wait to study the writings of the renowned wizard from the world of Greyhawk, gathered over a lifetime of research and scholarship! We have a lot of positions open! Programmers, designers, technical artists. Join our team to work on exciting projects! 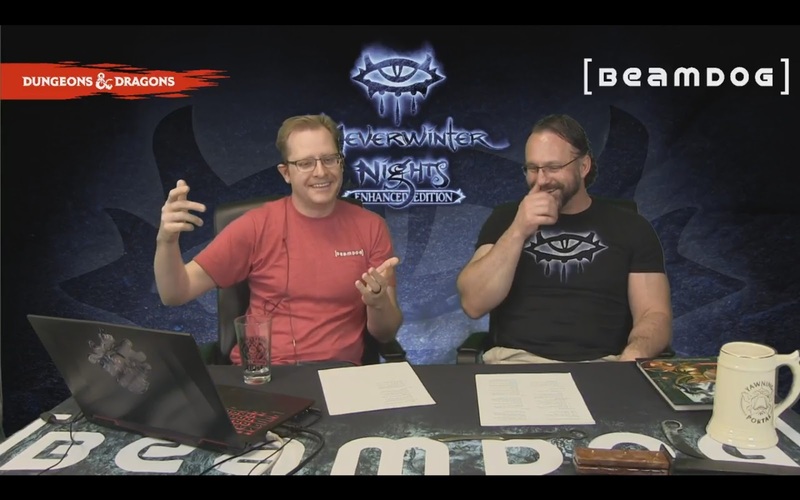 During the livestream next week we’ll try to arrange an interview with Bernhard Stöckner (niv), a community leader who maintains Neverwinter Vault. Trent loves niv, and you should do that too! Don’t miss! 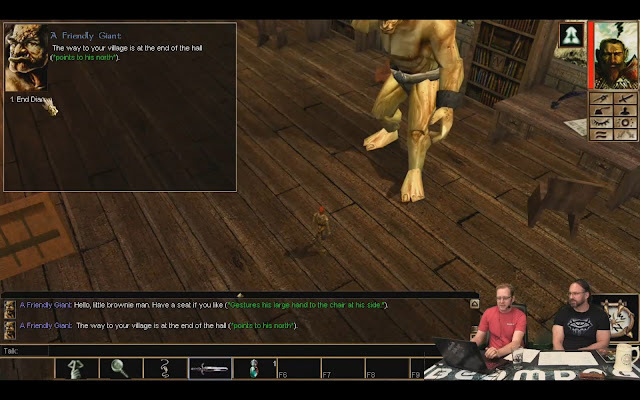 Development build 8172 for Neverwinter Nights: Enhanced Edition is now available in the Beamdog Client and on Steam. The race selection UI in character generation is now a list (instead of pre-defined buttons) just like class selection. Races can now have an icon; defined in the new “Icon” column in racialtypes.2da. This is up to custom content, as we do not currently ship icons for the builtin races. Check out the full list of features and fixes here. Our new Steam Workshop submission remakes the Tower Shield models from Neverwinter Nights. There are 12 models in total, which now support normal and spec information. 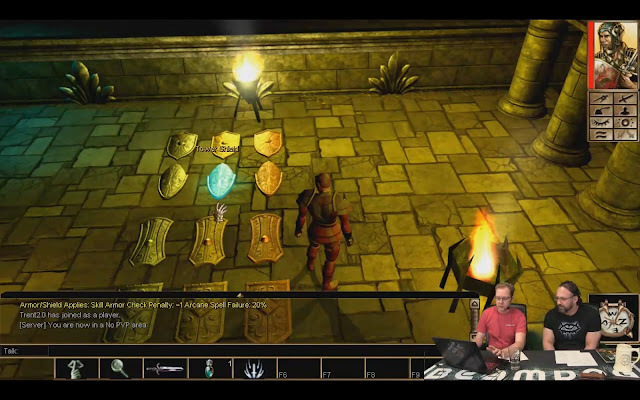 We have completed the deconstruction of Neverwinter Nights: Enhanced Edition UI. Based on our findings, we’re going to create a master plan on how to make the UI work properly. Our Trello page keeps on growing. 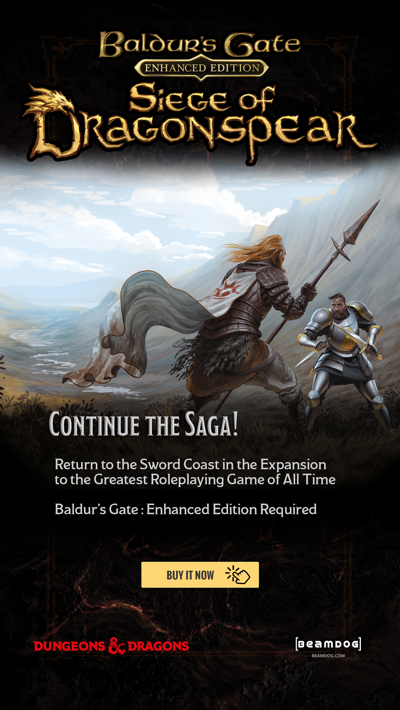 We have a big Roadmap in front of us and want to substantially improve Neverwinter Nights and step it forward. Probably, everything will take 3 or 4 years to materialize. We’re working towards bringing Neverwinter Nights: Enhanced Edition to GOG. We have nothing to announce at the moment, but it’s getting closer. We want to come up with an awesome package if we do a Collector’s Edition of Neverwinter Nights: Enhanced Edition. For now, there is no news on this front. We’ll see what we can do regarding publishing instructions on our forum about transferring servervaults from 1.69 to Neverwinter Nights: Enhanced Edition. Lee is playing as a really little Brownie, Biff the Understudy, in the module created by Bill Harper. The 2.5 patches for Baldur’s Gate: Enhanced Edition and Baldur’s Gate II: Enhanced Edition are slowly rolling forward. We’re actively listening to players’ feedback - let us know about the beta updates on our forum. We’re trying to improve the Mac Apple Store experience for our players and to make sure you have a really good time playing our games. 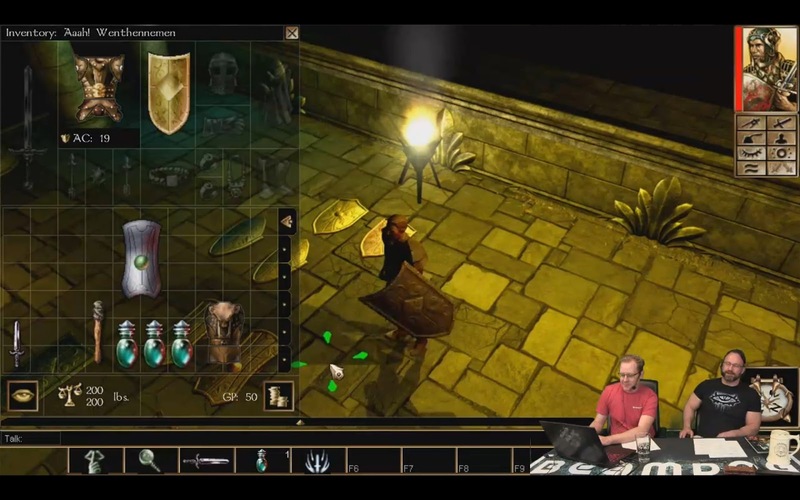 Once the 2.5 patch series is in good state, we’ll release patches for Baldur’s Gate: Enhanced Edition, Baldur’s Gate II: Enhanced Edition and Icewind Dale: Enhanced Edition there. Currently Planescape: Torment: Enhanced Edition with Czech localization is available only on Steam. 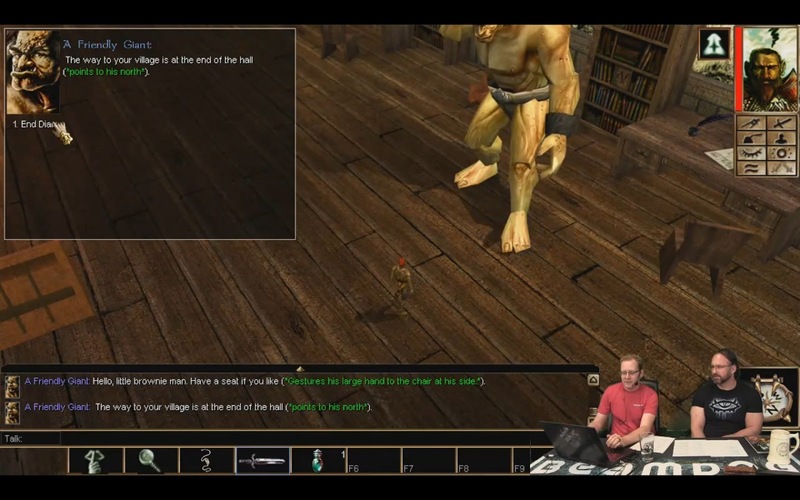 We plan to get it on Beamdog.com, GOG, Google Play, the App Store and the Mac App Store soon. We’re going to the Stream of Many Eyes (starting June 1 at 4PM PT) by Wizards of the Coast! Costumes may or may not be involved! Hop onto their Twitter for a taste of what’s to come! So. despite the original statement that IWD had been pushed on the 1st and that it was 'rolling out' on all platforms, the bullet above NOW appears to indicate that no effort has been made to actually get this on to the Mac App store. Just how long is this ongoing litany of miscommunication and deception going to continue. The IWD version on MAS is over 2 years old and the BG series are still on 1.4 for gods sake !